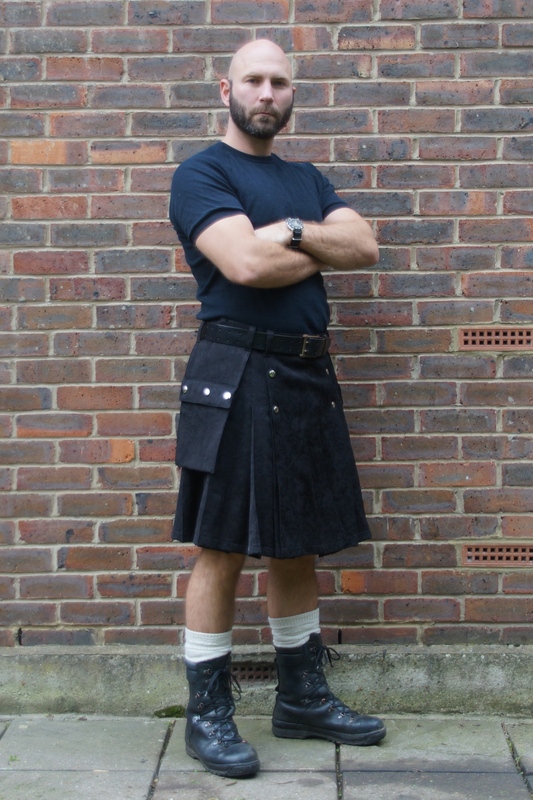 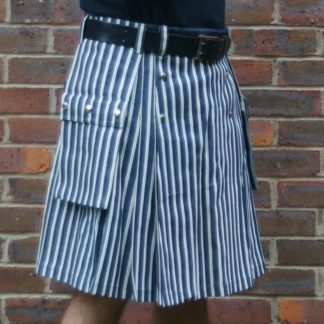 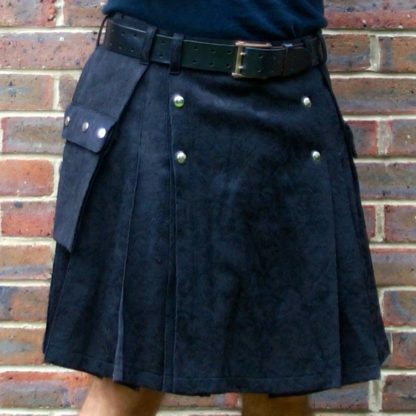 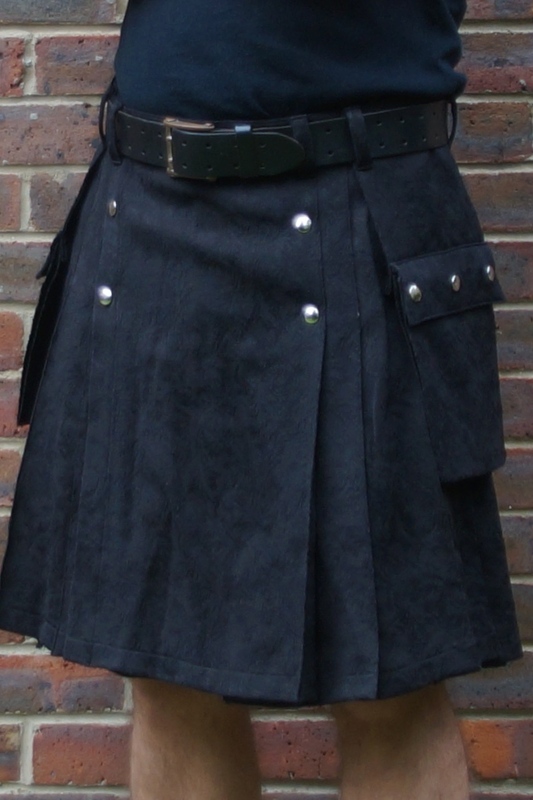 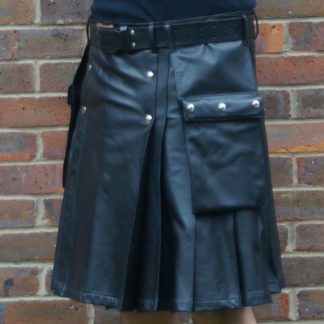 This kilt is made out of a black damask fabric. Damask is a fabric with a pattern created by weaving. 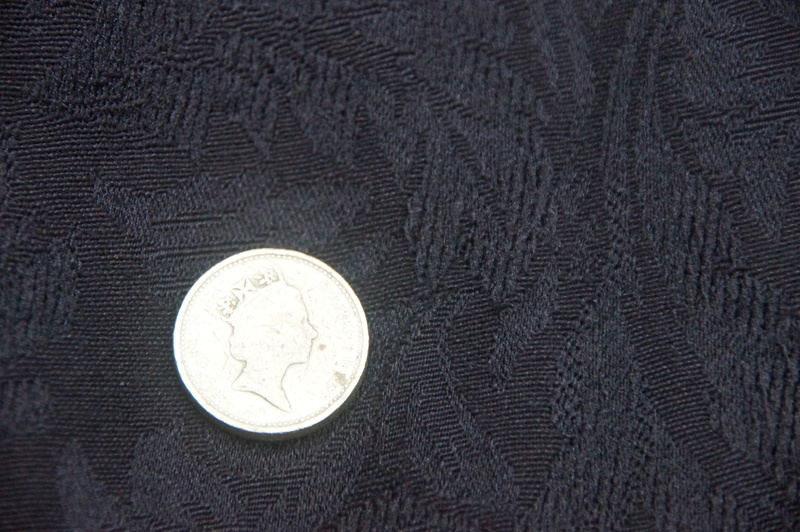 This one has a subtle leaf pattern and I think it is some kind of polyester mix. 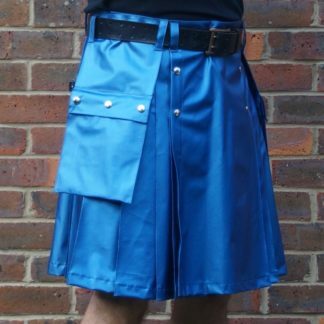 It would look particularly good dressed up with a dinner jacket or tuxedo.